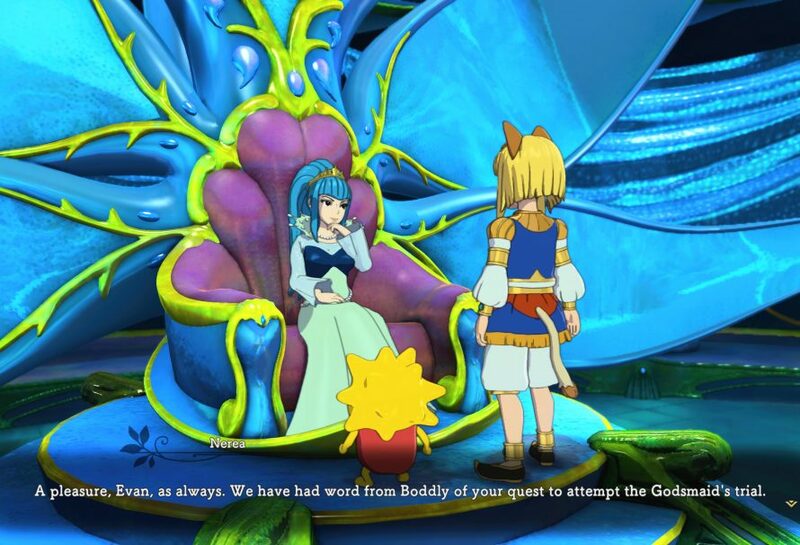 Several months following the release of Ni no Kuni II: Revenant Kingdom on PS4 and PC, Bandai Namco has finally released its first downloadable content that features a new story to tackle, new quests, new items and more. To access the Adventure DLC pack, simply load your cleared save file and go to Gold Paw. Go to the Library and find Boddly where she will tell you of a dream about a black dragon called Blackhart the Winnower that would turn the world upside down. In order to rid of this black dragon, she will ask you to seek the power of a certain god called Zeta. Before doing so, you must restore the power of a token that will give you a task of going all around the world seeking help from people you have previously met like Pugnacious, and the Queen of Hydropolis. In The Winnower Wakes quest itself, you will be doing chain quests that involves from cooking up certain higgledy, collecting a certain item, or fighting a previous foe. There are rewards for each of the chain quest that you do and those who still have not maxed out their Kingdom, now is the time to do so. For those who have not maxed out their characters or have at least reached level 85 or higher will have a hard time in finishing the story. The quest itself has a series of boss fights that ranges from level 75 all the way up to level 100. It’s also best if you have proper gear as well. Depending on how you play, it could take you around 2-3 hours to finish the story. Don’t have the DLC yet? Download it now.